British Airways and Easyjet have sent text alerts to customers warning of delays at EU border controls. BA said it is asking travellers to arrive early as it is expecting longer queues due to “enhanced immigration checks” across Europe. The airline has already sent text messages to customers flying back from Lyon, Madrid, Barcelona and Milan. Ryanair is also advising customers to arrive at least three hours before the scheduled departure time. He said passengers should also expect delays at airports in Majorca, Malaga, Lisbon, Lyon, Brussels, Milan and Paris-Orly. A spokesman for Ryanair also blamed the delays on European border control authorities, claiming that the airline’s operations are “running as normal”. He said the delays are a matter for the European regulators to resolve, not the airlines. 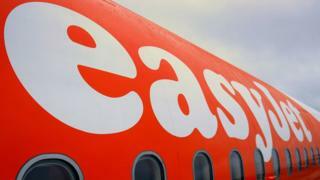 Easyjet advised passengers to check the latest travel information pages on its website, adding that it “strongly recommends” customers to allow extra time to get through the airport to the gate on time. Aviation minister Lord Callanan has said he would urge his counterparts in Portugal, Spain and Italy to “do all they can to reduce queues and allow travellers to get on with their holidays”. The European Commission said the delays were “the price of security”. Rule changes brought in after recent terror attacks in Paris and Brussels mean people entering and leaving the Schengen area, which allows passport-free movement across much of the EU, face more security checks. Under the new measures, details of passengers from non-Schengen countries, such as the UK, are run through databases to alert authorities if they are known to pose a threat. But A4E said that some passengers are facing delays of up to four hours, claiming that some European airports are producing “shameful pictures of devastated passengers in front of immigration booths”. Thomas Reynaert, managing director of A4E, said member states “must take responsibility for this”. He warned the regulations have not yet been fully implemented across all member states, which “may lead to even more disruption during the next few weeks”. The member states have until 7 October to put the new rules in place. Has your flight been delayed due to “enhanced immigration checks”? Let us know about your experiences. Email haveyoursay@bbc.co.uk with your stories.